I have Fabric Scraps, what shall I make? Bandana Bibs are simple to make and great for making use of fabric scraps and towels. 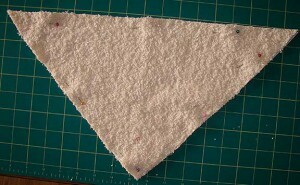 You can use left over fabric from a baby outfit to make a matching upcycled bandana bib. They’re also great for gifts, make a set of 3 with pretty fabric, a baby can never have enough bibs (you might recognise the fabric in this article!). 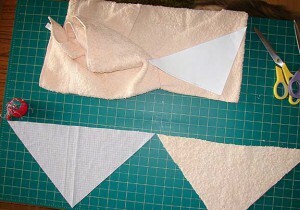 Firstly make your pattern or you can use the one below. I used an existing bib, folded it in half, laid it on an A4 sheet of paper, then drew and cut round it. 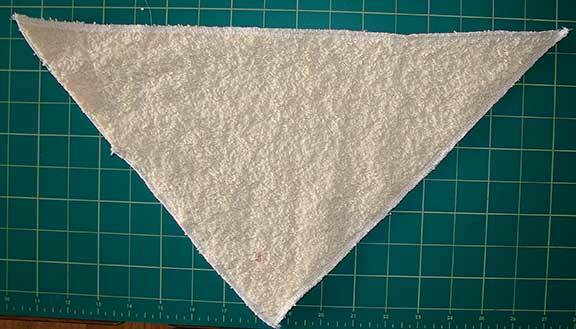 You can do this for any style of bib. I’ll generally do a few at the same time as they don’t take long. TIP– Check charity shops and car boot sales for towels or keep your ears open for friends who are changing their bathroom colour scheme and buying new towels! 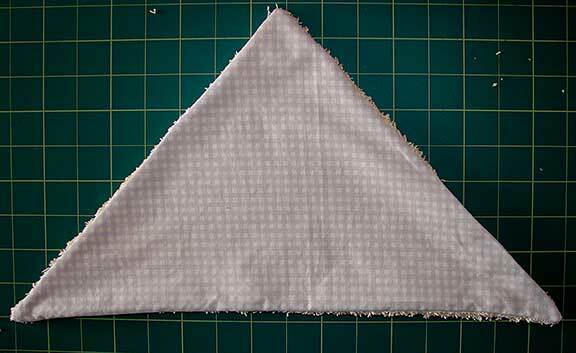 Fabric of your choice, cotton works well for this. 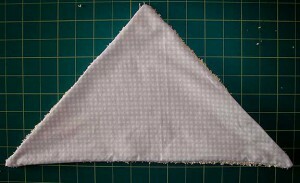 Fold your fabic in half and pin the pattern on, putting fold mark on pattern against fold in fabric. If you don’t have an overlocker, at this stage do a zig zag stitch round the towelling edge to stop fraying (not needed if you use micro fleece). 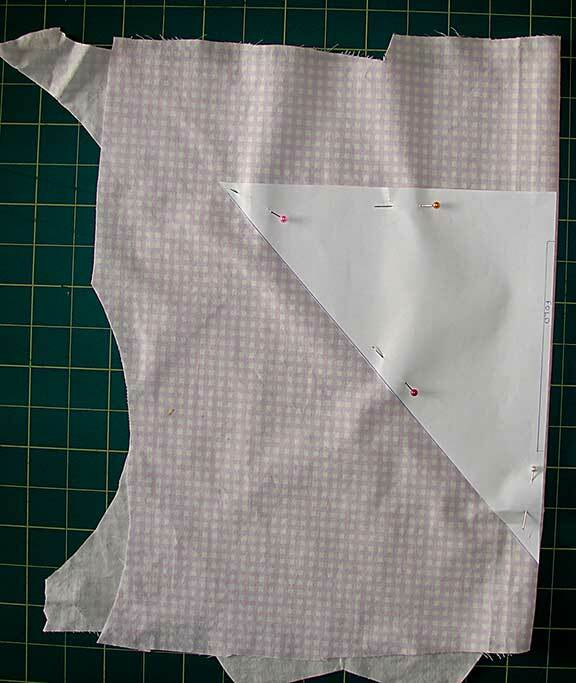 Pin the pieces right sides together and overlock/sew together leaving a 4″ gap (for turning right side out). Turn right side out and press turning the gap edges in. 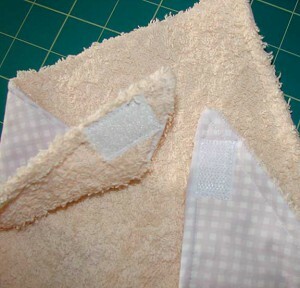 Top stitch all the way round making sure you catch the folded in edge. 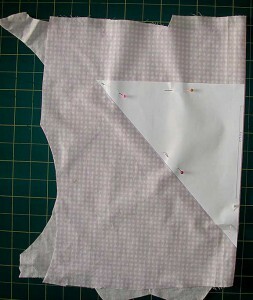 The last thing is to sew on your fastening, I prefer hook and loop as it’s easy to whip on and off a fidgety baby! And that’s it, simple! Here it is beside 2 others I made previously in a different size and style. Such a very simple but innovative and economical way of making one. And you can make color combinations of your own! Glad to visit this site of yours. Thanks Bernie, I love making them as they’re really quick to do. I’ve also seen dogs wearing little bandana collars, might do some for mine! Clever idea, I love it! That is great! Thank you so much for this amazing tutorial. It's very economical and you can create your own color combinations.